The magic of the Cape on a self-drive or privately guided trip. View of the Table Mountain from the Waterfront. 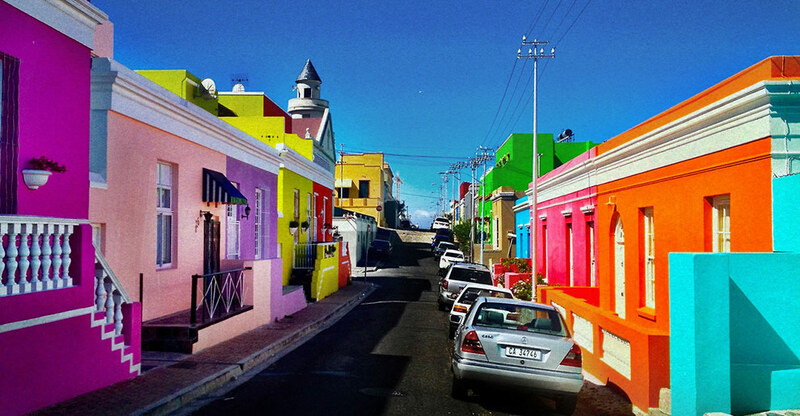 The picturesque township of Bo-Kaap. 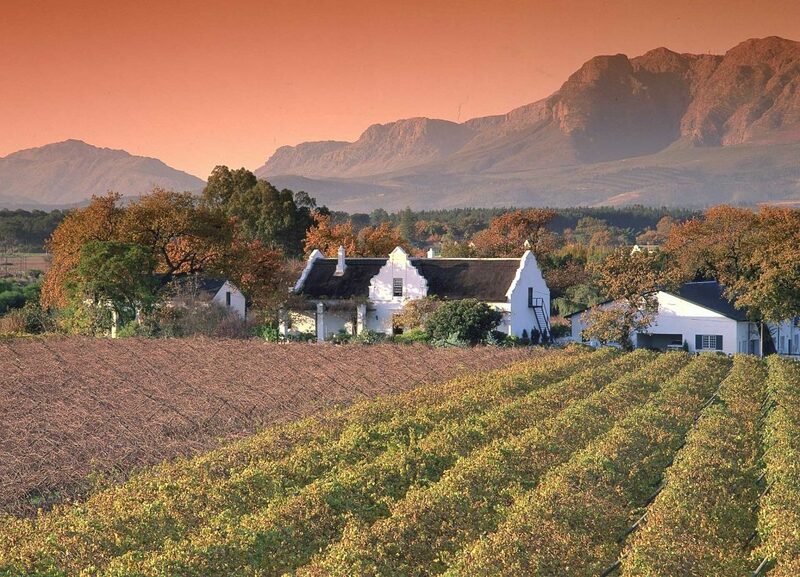 The typical Cape Dutch style of many wine farms. This is a classic but not a standard itinerary to explore the Cape region. It’s classic, as all main highlights to see and do are included. It’s not standard though, as we don’t recommend a stay of 2-3 nights, but a minimum of 5. This allows you to enjoy 4 full days, which are just enough to make a selection of available activities and excursions. On the other hand, assuming the Cape won’t be the only destination of your trip to South Africa, we have to give it a limit. A stay of 5 nights is mean to use Cape Town as a base from where to explore not only the beautiful mother city, but part of the region. This being a self-drive itinerary (though feasible as a private guided tour as well), the programme detailed in the day-by-day itinerary is to be intended as merely approximate. Also bear in mind that some activities are seasonal or weather dependent. The order we gave to the day-by-day plan is purely fortuitous and subject to change according to your will, availability or weather conditions. Last but not least, this programme can be entirely customized according to your interests and budget. Do not hesitate to ask for tailor-made adjustments. a trip through the Garden Route to the Greater Addo NP, in the Eastern Cape. to customize your tailor-made travel experience in the Cape. The city: Bo Kaap, the beaches of the Atlantic Seabord, the Two Oceans Aquarium at the Waterfront Marina, Robben Island, the botanical gardens of Kirstenbosch. Table Mountain NP: the Table Mountain, the penguins of the False Bay, Cape of Good Hope and Cape Point in the Cape Peninsula. 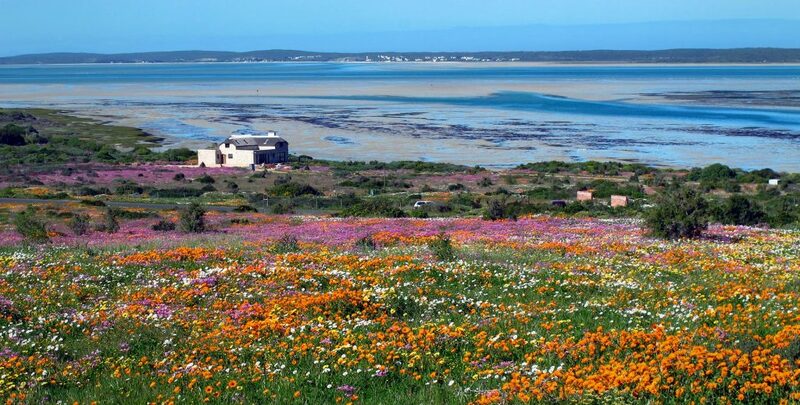 West Coast NP: the Langebaan lagoon, the flowers of the Postberg section in August and September. visit of the District Six Museum. All year-round, Cape Town never loses its unique charme. But there are great differences between the seasons. Between May and September, the weather is literally unpredictable. On the other hand, the whale watching season is at its best (July-September), and the flowers are blooming (August and September). The summer months (November-March) can be very hot and usually the weather is quite stable, with long sunny days. Arrival to Cape Town International Airport. Pick-up of your vehicle and check-in at your accommodation. Rest of the day at leisure, to visit some areas of the “mother city“. You can drive up to Signal Hill to enjoy the best view of the Table Mountain from town, or take the cable to reach the top of the Table Mountain itself. If you’re fit enough, you can even walk to the top from the beautiful Kirstenbosch Botanical Gardens, but you also need enough time and a clear day, to enjoy it at its best. And in any case, we suggest to allow a full day, starting your ascent in the early morning of one of the following days. Enjoy the sunset from the romantic beach of Llandudno (at Llandudno Bay). There are no refreshment points, rather bring your own bottle of wine or Amarula. Catch-up what you couldn’t accomplish the day before, on the account of the time available or the weather. 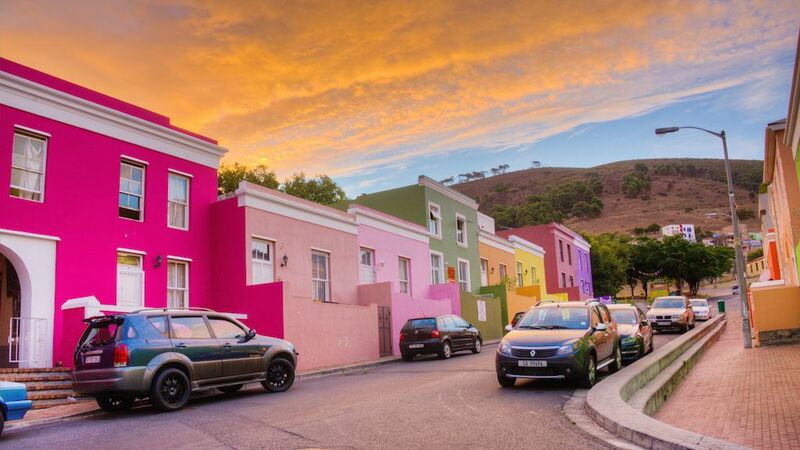 Drive and walk though the colorful narrow streets of cobblestones in Bo-Kaap and along the boulevards of Gardens, between the St George Cathedral and the Parliament. If you wish, you can also visit the famous District Six Museum, where you will know more about the dark times of Apartheid. If you’re interested in history and politics, you may also visit the former prison of Robben Island, where the visits are mainly done by former prisoners. The ferry leaves the Clock Tower from the Waterfront several times a day, taking 45-60 minutes, depending on the sea conditions. The visit itself is completely guided and takes a couple of hours. This being one of the most popular excursions, it is advisable to book in advance. 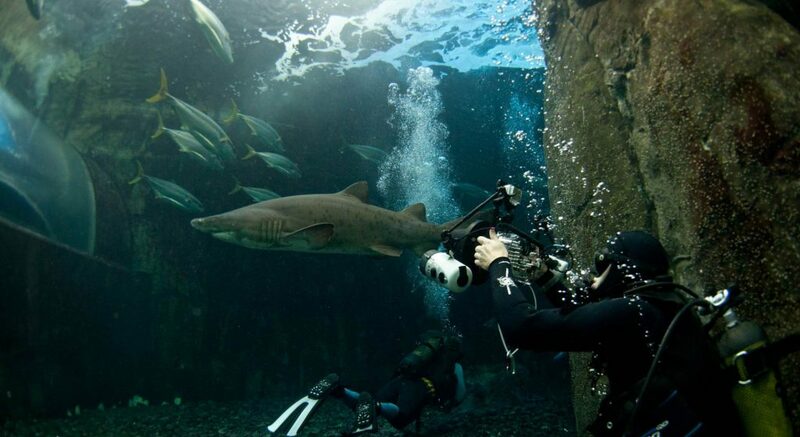 Among the other attractions of Cape Town, don’t miss the famous Two Oceans Aquarium at the Marina Waterfront. 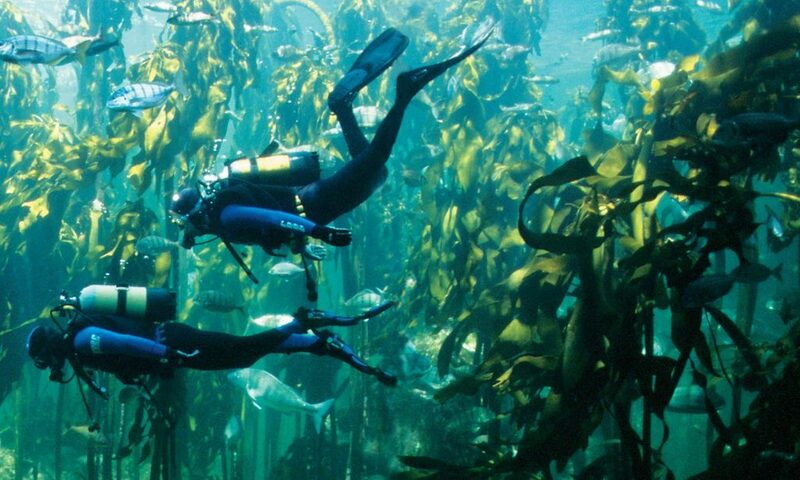 You can admire the pool of the sharks and the one of the kelp forest. If you have a diving certification, you can also ask to dive in but, as far as the kelp forest is concerned, an advanced level is required. 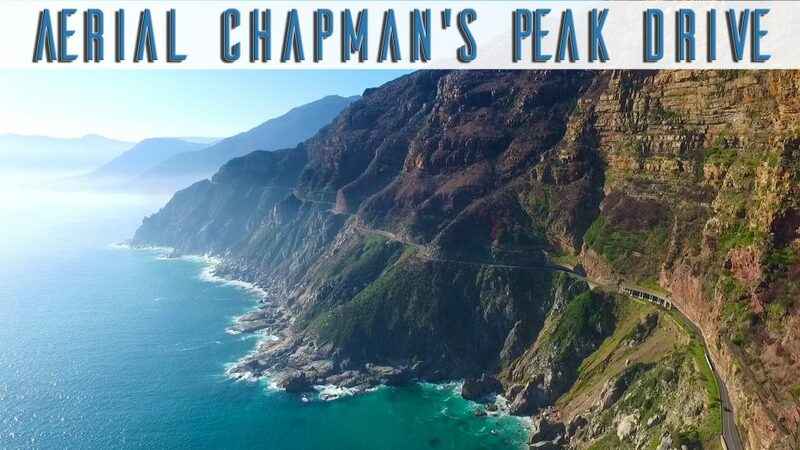 Drive through the old fishing village of Hout Bay and take the Chapman’s Peak drive, one of the most scenic coastal roads in the world. Stop en-route just after the beginning of the road to admire the stunning silhouette of Hout Bay, one of the most typical postcard images. 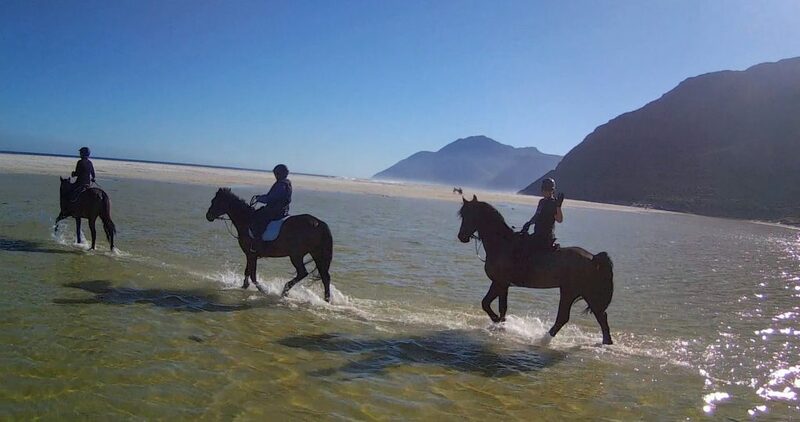 Just before reaching the village of Noordhoek, stop your car on the right hand side of the road to enjoy the endless view on the long white sandy beach, where you may go horse-riding in the afternoon before sunset. Then keep driving to the other side of the Peninsula, taking the road to Simon’s Town (unless you want to see the famous beach of Muizenberg, with its colorful cabins), in the False Bay. This is one of the world capital for shark cage-diving (all year round) and – above all – the shark breaching (April to September). This is also something to book well in advance, as well as the sea kayaking trip to reach Cape Point (4 hours) in a very original way indeed. If you’re not a real adventurer, just stop at Boulders Beach to see the African Penguin’s colony, which has been mating here since the early Eighties. Your last destination of the day (except for the possible horse-back riding on the beach of Noordhoek in the afternoon on your way back to Hout Bay and Cape Town) is Cape Peninsula. This is one of the most iconic and fascinating places of the African continent. There are several hikes along the shores, where you can spot wrecks of ancient boats that dared to challenge the once infamous Cape Storms. You may even overnight in the Peninsula, which is part of the jeopardized Table Mountain National Park. But then you maybe have to extend your stay in the region. 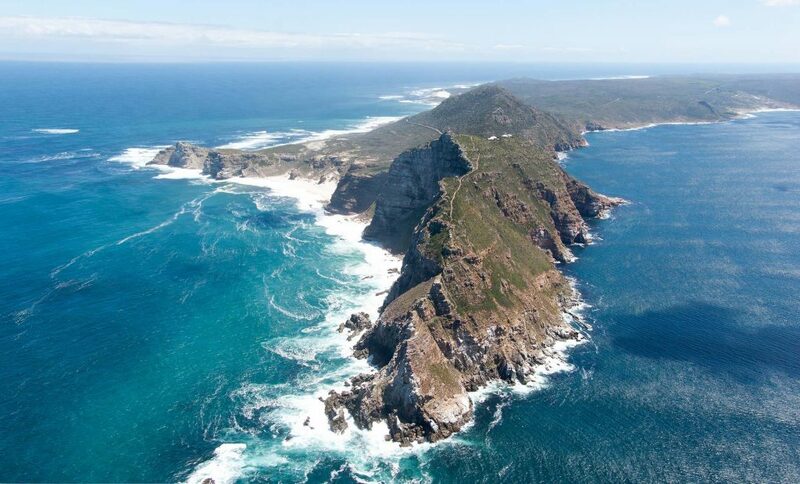 You may be then satisfied enough to stop at the Cape of Good Hope, the most south-western point of the African continent. From there, you can drive another 5 minutes to reach the Two Oceans Restaurant (good food and not too expensive considering the location as well as the fact of being the only real restaurant in the area) at the foothills of Cape Point (another 10 minute walk). Or, if the wind doesn’t blow against too strongly, you can hike between the two points in about 45 minutes, enjoying the breathless view on the walk. If not in a rush, on the way back, you can walk down the steps taking to the beautiful beach of Cape of Good Hope. You may be the only ones, but the experience is worthwhile. Just avoid, maybe, to go swimming. Never underestimate the infamous currents around the Cape, let alone the ice-cold waters and the sharks. If you really wish to go for a swim, rather go to Clifton, where in summer the water temperature can reach 16° and the beaches are protected by a sort of natural bay. On your way back home, you may stop for dinner at the Thorfynns Restaurant, within the Monkey Valley Resort, right on the beach of Noordhoek. Nice food, great view, a romantic ending to your Cape Peninsula experience. Another option, still romantic and foodwise delicious, might be the cozy Mariner’s Wharf in the harbour of Hout Bay, as you complete your return trip via the Chapman’s Peak drive. Today head north on the Atlantic route taking to the Namaqua and the Kalahari region and eventually Namibia, but don’t go that far!. 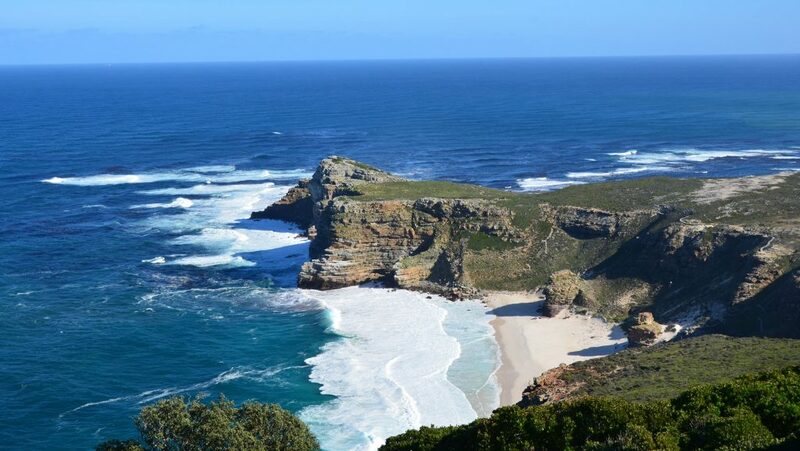 A mere 2 hour drive from Cape Town, you will find on your left hand side the gates to the West Coast National Park. Skip the the first one (Weskus) from where you’ll be leaving the park in the afternoon to head back to Cape Town, and keep on driving for another 30 km until you reach the coastal town of Langebaan. Enter from the Langebaan Gate, trying to be there by no later than 9:30-10 in the morning. 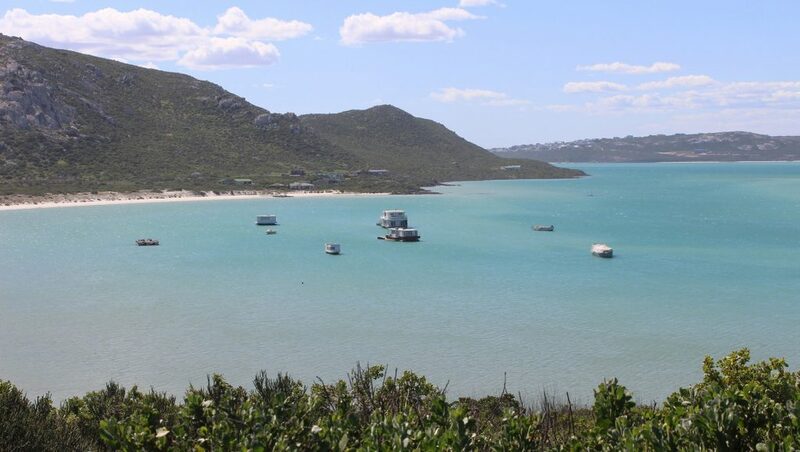 On a clear day, before driving downhill to the gate, you can watch the crystal clear Langebaan lagoon in all its colors. Stop a few km after the gate at a bird hide, where might be able to spot pelicans, cape gannets, cormorants, flamingos, skuas and other pelagic birds. Then drive through the park that, during the springtime months of August and September, becomes a carpet of flowers all over. The best section of the park, only open during these months, is Postberg. Here you can enjoy the flowers, the lagoon and a plethora of animals at once. Look out for oryx, gnu, mountain zebra, springbok, ostrich, the gigantic eland and the bat eared foxes hunting ants and termites. If you’re very lucky, you might even spot a caracal, a very elusive African lynx. As you leave the Postberg section, turn right to Tsaarbank to admire the mighty ocean and its long foamy waves. You can even take advantage of set up bbq facilities before the cliffs (if you walk on them, please mind your steps as it can be very slippery and waves can be longer and higher than you may have guessed to be). This might be a better option rather than getting stuck for an hour or more at the only restaurant in the park. Then just drive to Kraalbaai, which is actually just a few hundred meters away as the crow flies. The contrast between the power of the ocean and the tranquillity of these little sandy bays couldn’t be more striking. Enjoy your time at leisure on the beach. The enclosed waters of the lagoon can reach a much higher temperature than out in the ocean. In summer it can get up to 22-23°, but even in winter, on a warm sunny day, you can enjoy a safe swim without freezing to death. This is a must during the whale watching season, from June to November. You can see the cetaceans from the shore of Hermanus (there’s a very easy walk with a great view on the Walker Bay), trying to approach them by sea kayak in the bay or join, weather permitting, a boat trip from Gansbaai, a 40 minute drive from Hermanus. This latter is by far the best way to get very close to the whales. En-route, you can even spot pelagic birds like cormorants, albatrosses and skuas following the boat in search of food, as well as dolphins, penguins and white sharks. 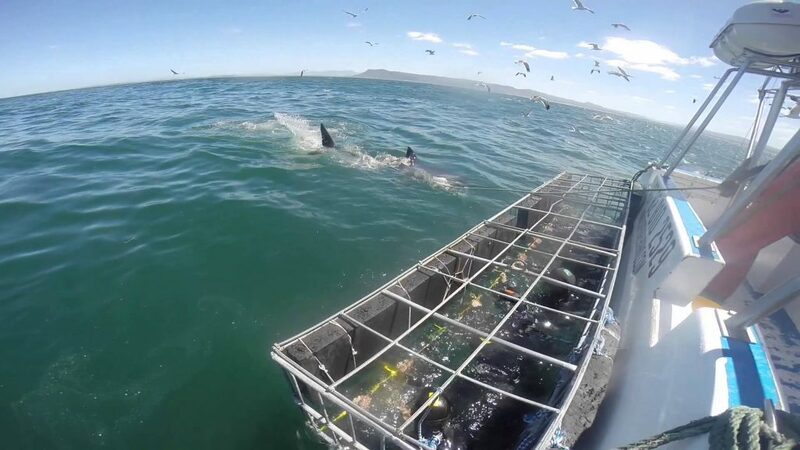 Gansbaai is in fact one of the world capitals for shark cage-diving. Combo packages with whale watching are also possible. The peak season for whale watching is August to October (at the end of September the whale festival in held in Hermanus), but although the chance for great whale spotting is always very high, nonetheless one should never forget this show is playing in a real untamed wilderness. Last but not least, for obvious reasons this activity is typically weather dependent. Book in advance but double check directly with the headquarter in Gansbaai 1-2 days before for final confirmation. 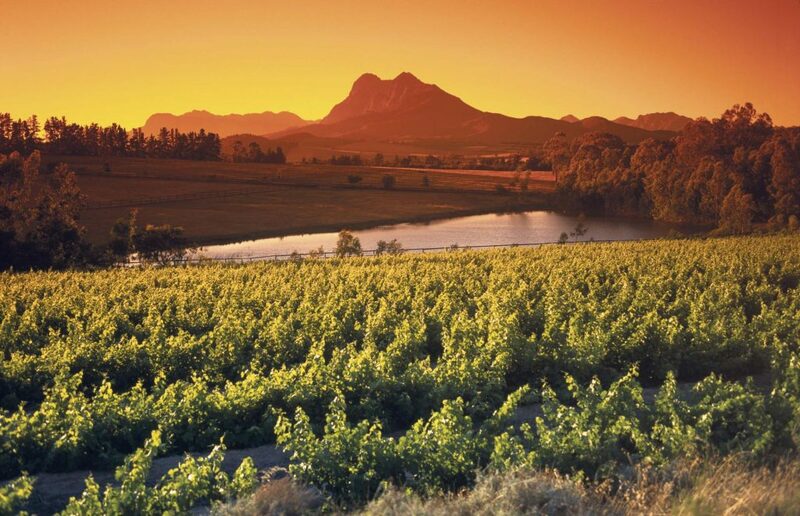 If you thought in the first place that 5 nights in Cape Town where too many, just because you were fooled by the typical touch-and-go packages, just bear in mind that we haven’t even mentioned some of the main attractions of the region, as the Cape Winelands, for instance. If you wish to include that too, you may be willing to extend your stay or replace with that one of the above suggested daily itineraries. Truth be told, an entire week won’t be enough to enjoy all Cape wonders. 5 nights (which means, as a matter of fact, 4 full days only), are merely enough for a full-immersion in the area, without rushing like crazy from a place to another, to see “more” just to understand and appreciate way less. Last but not least, almost any of the above suggested areas and locations would deserve more than just one day, but then you may run short of time and be forced to skip other must-see attractions of this beautiful country. As a first-time traveler to South Africa, you may not be willing to but, as a repeater, maybe you should. Car hire (VW Polo automatic or similar) with unlimited mileage and total cover (zero excess) insurance. Drop-off and (one) extra driver fee. 5 nights at Ocean View House with breakfast included. All meals (lunches and dinners) and activities. 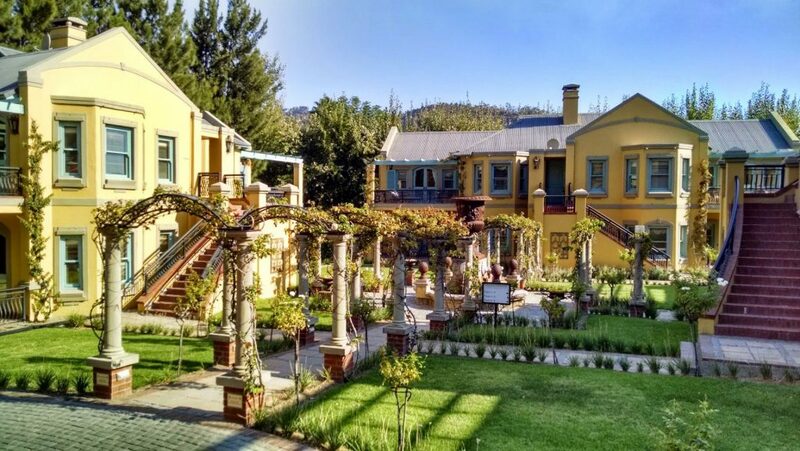 Smaller and more intimate than Stellenbosch and Paarl, but also plenty of wine farms and delicious restaurants. The typical Cape Dutch style of the Cape Winelands' farm houses. Beautiful boutique hotel made of villas in Occitan style. The restaurant - Le Monneaux - is outstanding in terms of food quality and atmosphere, with a great outdoor dining area. With a length of 17 km and width of 4, the Langebaan lagoon is simply stunning, with its sandy beaches and its crystal-clear water. In springtime the West Coast National Park is blooming. In the Postberg section, which is only open in August and September, you can also see lots of animals, like springbok, mountain zebra, ostrich, bat eared fox, eland, kudu and gnu. Let alone the birdlife of the lagoon. The best way to experience a night inside the West Coast NP is to sleep in a houseboat, anchored in the lagoon. Being protected from the cold currents of the Atlantic Ocean, the water temperature of the lagoon is much warmer than on the open sea. Kite surfing and sea kayaking are popular activities in the Langebaan lagoon. From June to November is the whale watching season in South Africa, especially in the Cape. The best spotting from the shores is in Hermanus. 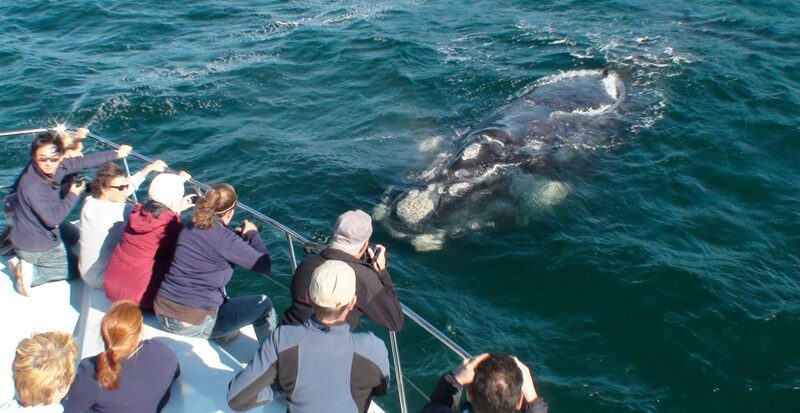 But if you want to get really close to these giants of the sea, join a boat trip from Gansbaai. This is one of the most popular activities from Gansbaai (and also from the False Bay). 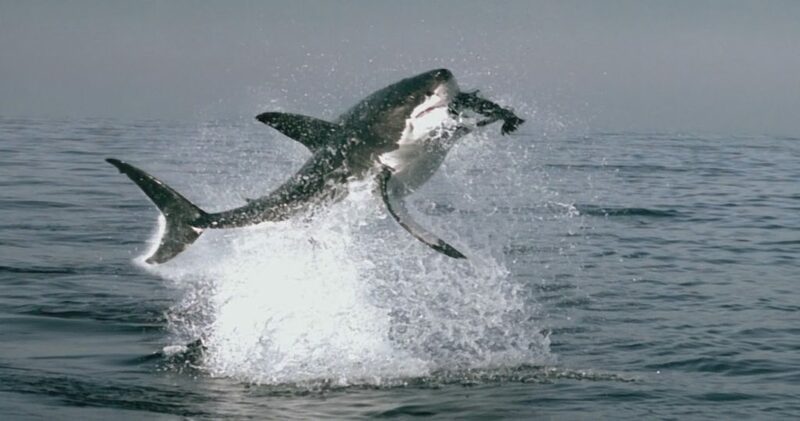 You don't even need to be a certified diver to try the exciting experience of a close encounter with the Great White. Protected by a steel-made cage of course. The cage is an inch from the water, therefore you don't need tanks, a snorkel being enough. Robben Island is an island in the Table Bay, 7 km north of the west coast of Cape Town. It's a South African Heritage Site and also a UNESCO World Heritage Site. In the past, the island was infamous for being a top-security prison for political prisoners. The most famous of all being former President Nelson Mandela. 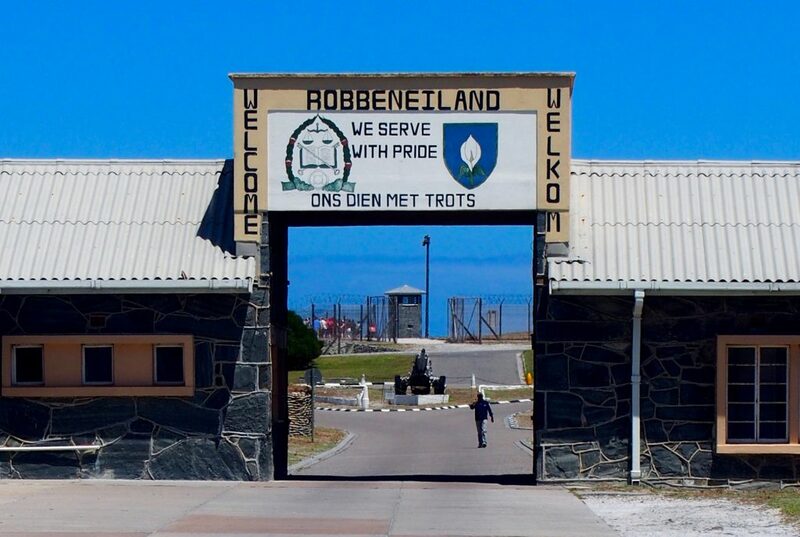 Today Robben Island is an open-air museum. The tour guides inside are former prisoners. This is a journey back to the darkest years of South Africa. Very interesting aquarium in the Waterfront Marina. You can even scuba-dive, providing you have a valid certificate, through the underwater kelp forest or among rays, turtles and other fishes of the ocean. For the time being the predator exhibit has been closed for renovation, and the ragged-tooth sharks have been released into the ocean. You can reach the peak of the Table Mountain by a comfortable cable ride. Or else you hike all the way up. There are several trails, some of those quite challenging, especially with bad weather conditions (that in Cape Town can occur anytime). One of the best (and safest) is to start your trek from the Kirstenbosch Botanical Gardens. Just shortly before ending your drive down the Chapman's Peak to the False Bay, park your vehicle on the right-hand side to enjoy a great view over the 8 km long Noordhoek beach. Ideal for horse-back riding in the afternoon. A sundowner with a difference. If you're physically fit and have a spirit of adventure, the sea-kayaking experience from the False Bay to Cape Point is one of a kind. A much softer options is to paddle in the Walker Bay from Hermanus, where you have good chance to approach dolphins and sometimes whales. 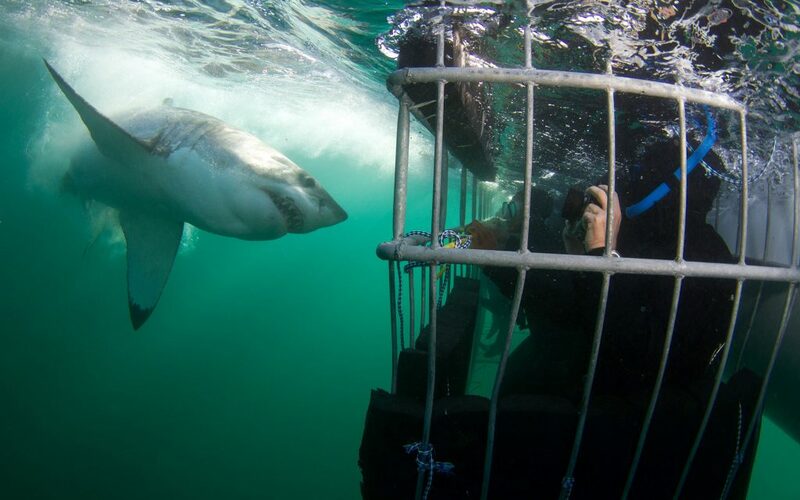 The capital of shark cage-diving is arguably Gansbaai, but you can also do it from Simon's Town, in the False Bay. If you come from Cape Town, you can save a lot of time, but do not expect the same visibility. From April to September, with a bit of luck, you can admire this amazing natural show occurring in the waters of the False Bay. To push your luck, the rubber shape of a seal can be used, to attract the great predator. One of the most spectacular marine drives in the world. 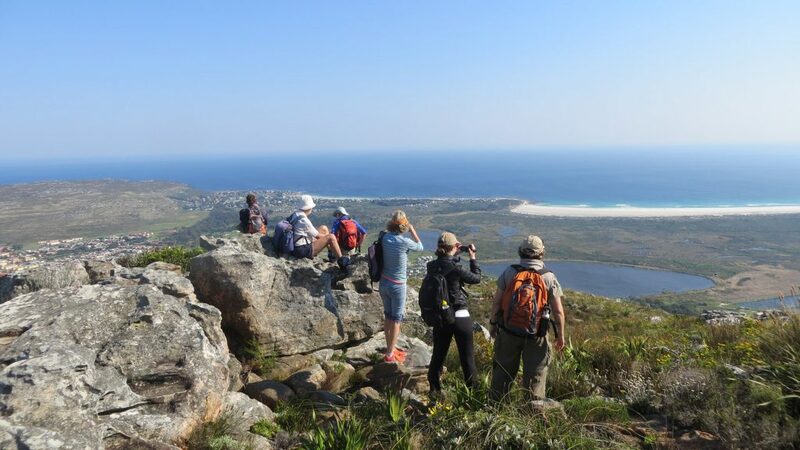 It connects Hout Bay, the last suburb of the Atlantic Seabord, to Noordhoek, from where you can reach in a few minutes the False Bay and the Cape Peninsula. Small village of artists, with several stables and horse trails. Great horse-back rides on the beach for a sundowner with a difference. 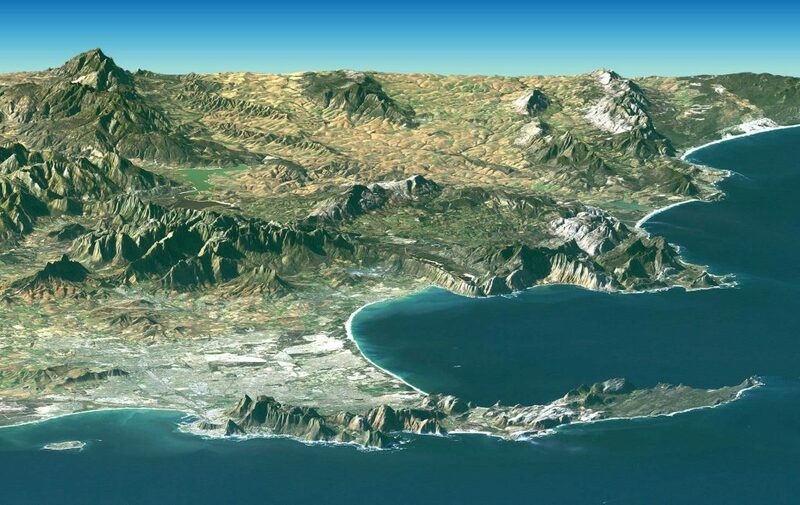 Aerial view of the False Bay and the Cape Peninsula. The False Bay, despite its name, is open ocean and not a bay. 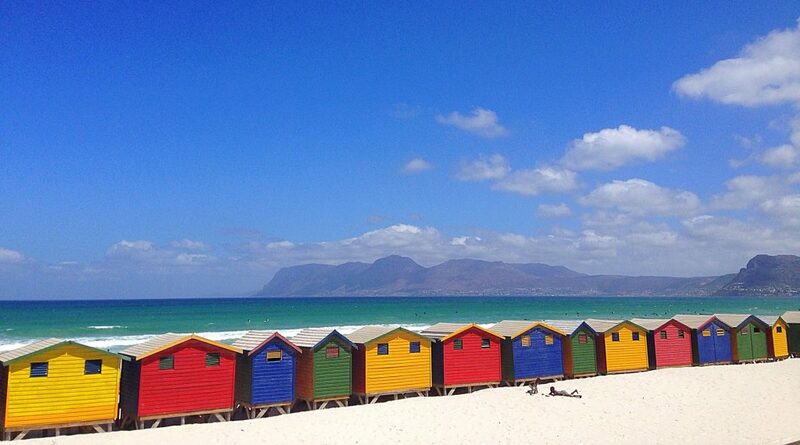 Muizenberg is a sought after beach by the lovers of windsurfing. The water, in summertime, is reasonably warm. Be careful to sharks though. In the Apartheid time, Muizenberg was the main beach destination of the False Bay, but today things have changed. Khayelitsha, one of the largest (and dangerous) townships of South Africa, is almost around the corner. Simon's Town has a beautiful beach and is the main tourist centre of the False Bay. Most marine activities, from whale watching to shark cage-diving, from shark breaching to sea-kayaking, do start from here. 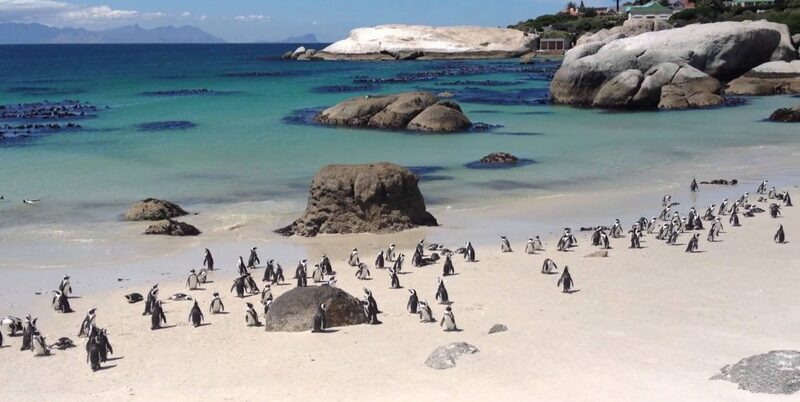 The town is however mainly famous for the large penguin colony of Boulders Beach. This wordwide famous beach, at the outskirts of Simon's Town, is home to some 3000 penguins who started to settle here in 1982. This is the most south western point of the African continent, although the two oceans officially meet at Cape Agulhas, some 150 km east. The beach is marvelous and can only be reached by walking down a long stair. Very pleasant also the 45 minute walk to Cape Point, with a great view over the ocean all along the path. A few minutes by car from Cape of Good Hope. This is where everybody usually stop for lunch, as here you can find the only restaurant in the reserve. You can walk further up to the lighthouse (or take a cable car) from where the view gets lost in the ocean. The new lighthouse has been positioned at a lower level, for a better visibility.